#0710C flat end cylinder – coarse grit. Numerous other shapes and sizes are available. NeoDiamond was evaluated by 25 consultants in 837 uses. This product received a 96% clinical rating. 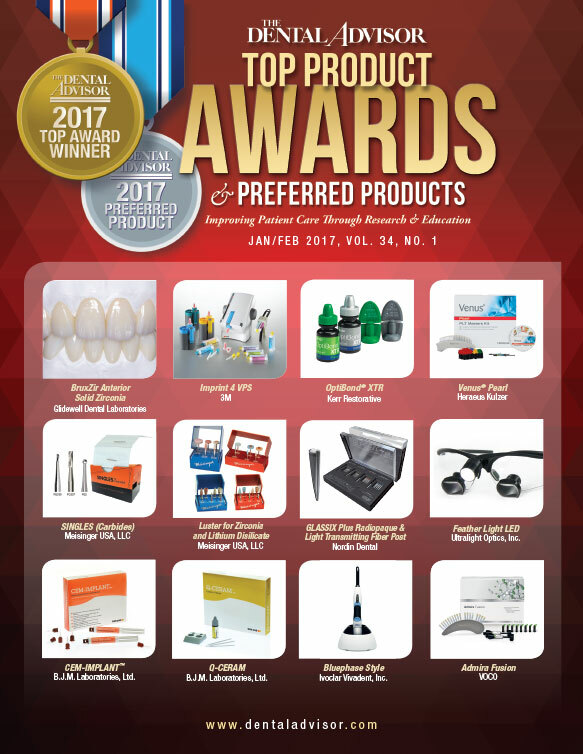 Consultants liked the sterile packaging and the wide variety of shapes of NeoDiamond. The most popular shape evaluated was the round-end taper. The majority of consultants reported that cutting efficiency was excellent. The coarse grit cut through enamel and was durable enough for multiple preparations. Having a fresh diamond for each procedure resulted in speedy reduction without clogging. The clear packaging allows the user to see product, and it is well labeled for re-ordering. 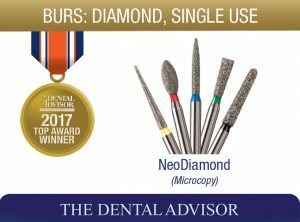 Twenty-four percent of consultants reported that NeoDiamond was better than their current diamond burs and 60% reported that it was equivalent. Eighty-four percent would switch to NeoDiamond and 92% would recommend it. Keep a cleaning block handy.